Waves is a relatively new coin, backed by a great team and a wallet packed full of features. In order to buy Waves (WAVES) at a good rate, we first need to acquire Bitcoin (BTC), and will then exchange our BTC for Waves. If you already have Bitcoin, you may skip step 1. It’s always important that you store your cryptocurrencies securely, but in the case of Waves there are other incentives to storing your coins in the Waves wallet. 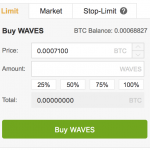 Waves wallets give you the ability to trade your Waves, to lease them for profit, and to create your own Tokens. You can download the Google Chrome app, or the desktop wallet. 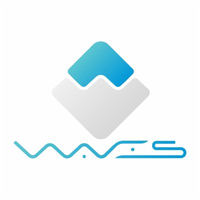 For more information on Waves wallets, read this Wiki.